As you may be aware, ISO standards come up for revision every five years. ISO 9001: 2015 is currently set to release at the end of 2015 and that revision’s framework will impact many other related standards. 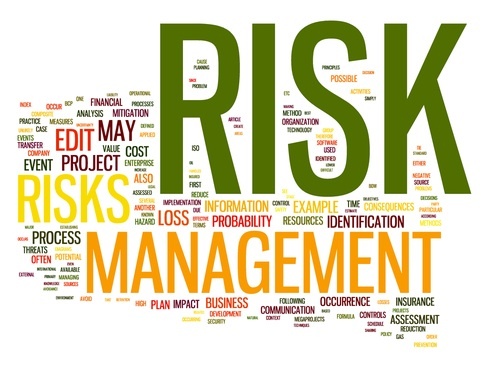 ISO 31000 and its accompanying Guide 73 on risk management terminology, are no exception. The working group responsible for developing core risk management standards convened in Paris, France from March 3-9, under the auspices of AFNOR to discuss the necessary changes to be made to the standard. Why? Reducing, anticipating and managing risk are all part of the daily grind for organizations that have integrated risk management into their business strategy. That’s why many organizations turn to ISO 31000 on risk management to support their management objectives. Risk-based thinking and risk management are C-suite imperatives. It’s also no surprise that the latest revision of ISO 9001: 2015 is centered around risk-based thinking. Risk-based thinking builds the concept of risk into the whole management system and makes preventive action part of the routine. To learn more about what’s in store for the revision of ISO 31000 (at this beginning stage), read the article here on ISO.org. To learn more about ISO standards, including the latest revision of ISO 9001:2015, contact info@bizphyx.com. As you may be aware the seminars, workshops and webinars have begun! Many consultants are helping clients prepare for the impending changes with the ISO 9001:2015 revision. ASQ and the American Quality Institute hosted the ISO 9001 World Conference on March 8-10 in Houston. We facilitated our own “Intro To ISO 9001:2015” webinar earlier in March and will repeat this complimentary webinar on November 6, 2015. 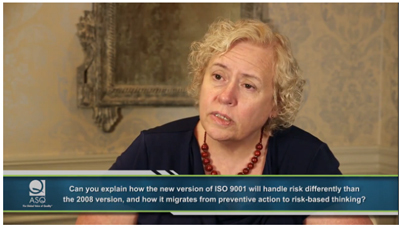 In this video, Denise discusses how the revised version of ISO 9001 may handle risk, as well as the revision’s effect on small organizations. For more updates as they occur, including video features from ISO, please visit our Countdown To ISO 9001:2015 web page. For more information on ISO 9001, contact info@bizphyx.com.